Osmium Oxide Nanoparticle Dispersions are suspensions of osmium oxide nanoparticles in water or various organic solvents such as ethanol or mineral oil. American Elements manufactures oxide nanopowders and nanoparticles with typical particle sizes ranging from 10 to 200nm and in coated and surface functionalized forms. Our nanodispersion and nanofluid experts can provide technical guidance for selecting the most appropriate particle size, solvent, and coating material for a given application. We can also produce custom nanomaterials tailored to the specific requirements of our customers upon request. See more Osmium products. Osmium (atomic symbol: Os, atomic number: 76) is a Block D, Group 8, Period 6 element with an atomic weight of 190.23. The number of electrons in each of osmium's shells is [2, 8, 18, 32, 14, 2] and its electron configuration is [Xe] 4f14 5d6 6s2. 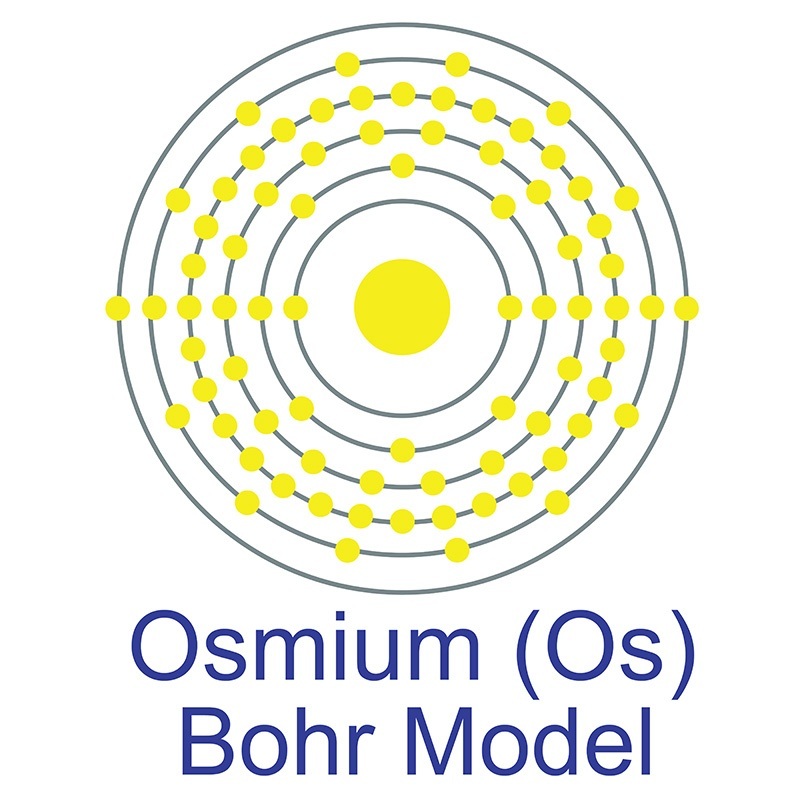 The osmium atom has a radius of 135 pm and a Van der Waals radius of 216 pm. Osmium was discovered and first isolated by Smithson Tennant in 1803. In its elemental form, osmium has a silvery blue cast apperance. Osmium has the highest melting point and the lowest vapor pressure of any of the platinum group of metals it is also the densest naturally ocurring element. Osmium is the least abundant stable element in the earth's crust. It is found in the alloys osmiridium and iridiosmium and as a free element. The origin of the name Osmium comes from the Greek word osme, meaning a smell or odor. Tris-bipyridine based dinuclear ruthenium(ii)-osmium(iii) complex dyads grafted onto TiO2 nanoparticles for mimicking the artificial photosynthetic Z-scheme. The effects of osmium tetroxide post-fixation and drying steps on leafy liverwort ultrastructure study by scanning electron microscopy. Dual purpose hafnium oxide nanoparticles offer imaging Streptococcus mutans dental biofilm and fight it In vivo via a drug free approach. Porous CoC₂O₄/Graphene Oxide Nanocomposite for Advanced Potassium-Ion Storage.